When they arrived in Bethlehem, it seemed as if there was no room for them or for their child. All things had been set into motion and all things seemed to be in place. A young woman had been told by an angel, a messenger of God that she would conceive a child by the power of the Holy Spirit. The angel told her..."He will be great and will be called the son of the Most High. For nothing is impossible with God." Mary believed and said "Here am I, the servant of the Lord. Use me according to your will." A man who was betrothed to the young woman had discovered that she was with child. "Joseph, being a righteous man and unwilling to expose her to public disgrace, planned to dismiss her quietly." "You are to name him Jesus, for he will save his people from their sins." Joseph believed and took Mary as his wife. Miles away in Ein Karem, Mary's cousin Elizabeth who was thought to be barren, was with child. For she too was told she was a part of God's plan. She would give birth to a son that she and her husband Zechariah would name John who would later be known as John the Baptist...the one who would prepare the way for Jesus. it seemed like it might all fall apart. 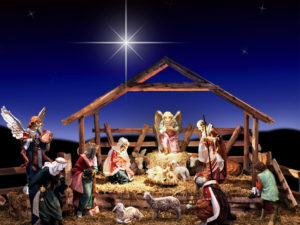 No place for the Son of God to be born? Was it possible that there would be no room in the world for God to be with us? Was it possible that darkness had truly overcome the earth and the light of God would not shine? Isn't this the fear that we still have? Aren't these the questions we still ask? Is there any room for God in our world? Has the darkness of fear, intolerance, violence, and hatred overcome the earth? In a quiet night in the small Palestinian town of Bethlehem... there was one that essentially said...Don't go, Joseph. Bring Mary back, and I will make room." for the light of the world to shine through. 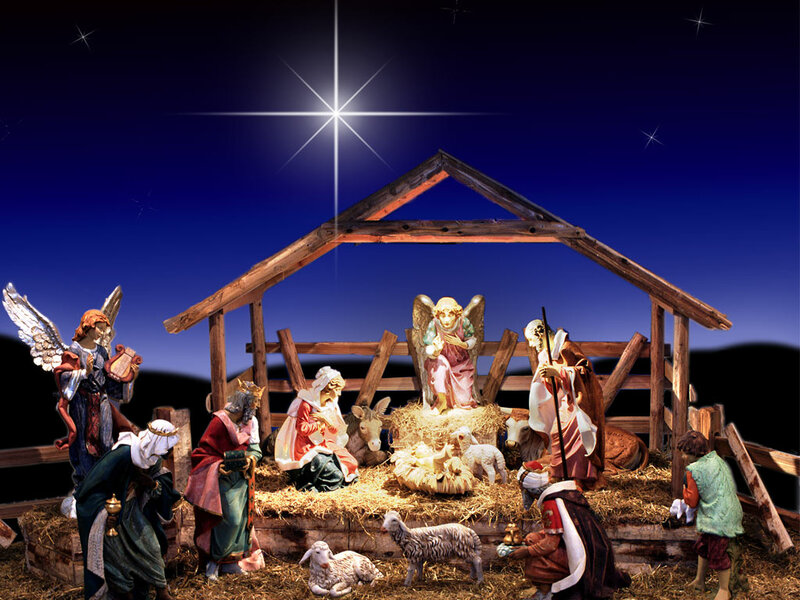 The stable...might not have been where the prophets of old had imagined the Savior would enter the world. Among the animals...might not have been the birthing place a young mother would have imagined. A feeding trough filled with hay...might not have been the crib a carpenter would have imagined. Disheveled shepherds...might not be the first greeters of the Messiah that the religious community would have imagined. and we make room for God in hearts, minds and lives. We will make room in our lives for your presence.